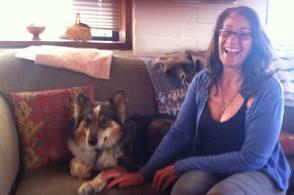 Central Coast Herding Dog Adopter Success Stories! We just absolutely adore him. He loves to play with Molly, our female Border, and he has claimed our back yard as his official area to protect. We have a small pool, and to our delight and surprise, he gets in it every day….not to swim, but he gets on the shallow step and likes to put his face in the water…too cute! Thank you so much for all that you and your staff have done to rescue all the beautiful souls of so many dogs. Because of you, those of us who have had the privilege of adopting these "souls", are blessed beyond words with their love and unique personalities. 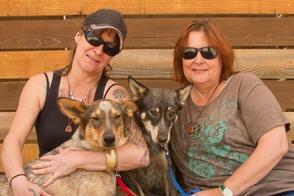 As a desert dog adopter, let me say, you won't be sorry if you give a desert dog a home. I don't think you could find sweeter, more appreciative dogs. They are well worth the time you'll invest in winning their hearts. Dezi has been a great addition to our family! You guys are so awesome! The work socializing and teaching these cast-off critters to be "real dogs" is so vital. 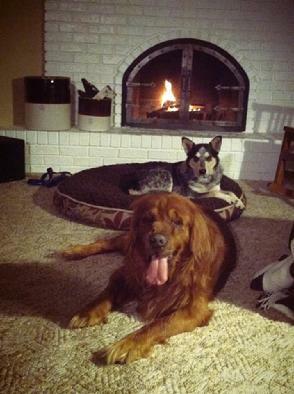 Thank you for dong what you do, Red & Lillie are so wonderful and so loved.